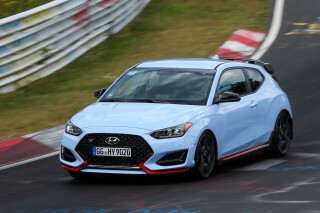 Stop the sport-coupe train at the Veloster Turbo; the R-Spec model rides too harshly, and doesn't deliver much more in the way of responsiveness. The 2017 Hyundai Veloster is a economy-car cake pop: it sounds like too much, but its hatchback sensibility really does taste better dipped in a layer of quirk. Daring and adventurous, the 2017 Hyundai Veloster puts four doors in unconventional places on its hatchback-sleek body. 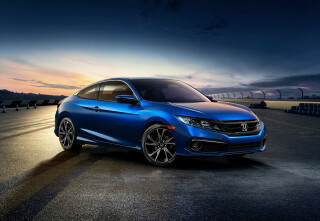 Two in front, one in the back—and one door on the side—are an attempt to give tight-fitting compact coupes some of the ease of use of a liftback. The Veloster and its rip-snorting twin, the Veloster Turbo, win on some fronts. The shape is still electric after four years on the road, and the space under the rear glass gives it utility that no sport coupe can match. It's still not blessed with adult-sized back seats, and its safety scores have lagged as it has aged. At best it can feel like a no-compromises coupe for young singles and couples; at worst it's not really a master of any of those roles. The Veloster is a mashup of a couple of body styles, and to our eyes, a successful one. It mixes smart hatchback packaging with coupe lines, and factors in an extra passenger-side door for easier rear-seat access. 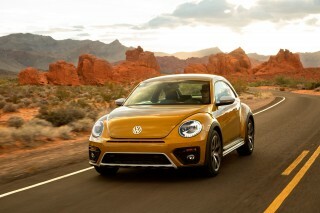 It's like nothing else on the road, and that unique look makes it difficult to compare it with vehicles similar in concept--say, a VW GTI. The cabin's Hyundai's usual: a good mix of materials and interesting shapes, with no huge, glaring flaws. The Veloster's humble mechanicals, on loan from the Accent and Elantra, do higher work here. A 138-hp, 1.6-liter inline-4 connects with manual or automatic gearboxes to give base Velosters a perky economy-car feel. The Veloster Turbo blows out that engine with twin-scroll turbocharging to the tune of 201 hp, sent to the front wheels through either a 6-speed manual or a 7-speed paddle-shifted dual-clutch. The Turbo is good for 0-60 mph times of about seven seconds or less—without that much of a dip in gas mileage. Fuel economy clocks in as high as 31 mpg, for dual-clutch, non-turbo Velosters. Handling in base Velosters won't be confused with a Golf, or any hatchback with a more fluid ride. It's composed, but the far more interesting Turbo has the grip to match its grin-inducing power. Bigger wheels give the ride a brittle quality—and with the even stiffer Turbo R-Spec, there's little payoff. We're not wild about the Veloster's electric power steering; it's low on feedback, and weighty when it doesn't need to be, but it doesn't disrupt the Veloster's generally flat, crisp cornering, which gets unsettled only if it's pitched over bad sections of pavement. The Veloster plays off both walls, coupe and hatchback, in terms of interior space. 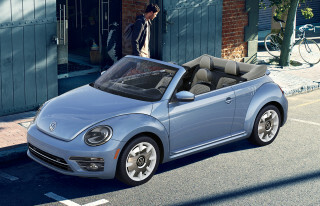 Up front, it's quite spacious for two, even with the available sunroof or panoramic roof. But in back it's more playful than practical. Entry and exit are challenging through the small door, unless you have that space in mind for kids. It's at ease with the back seats flipped down and stuffed with weekend gear, with its cubbies, bins, and nooks crammed with smartphones and water bottles and the like. The Veloster includes a generous list of standard features, all for a base price of well under $20,000. Upgrades on the Turbo model, which starts around $23,000, include leather seats, big wheels and tires, and more. 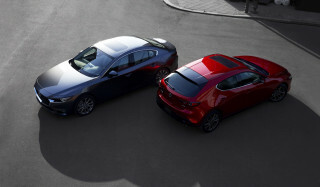 Options include a huge panoramic sunroof, upgraded wheels, and a 115-volt outlet. As part of the Blue Link suite of services, the Hyundai Assurance Connected Care service is included for three years regardless of subscription level. For 2017, Hyundai has added HD Radio, Apple CarPlay, and Android Auto to the Veloster's standard touchscreen infotainment system. Offbeat in the right ways, the Hyundai Veloster will have you counting doors while you admire its kicky looks. Many vehicles have tried to bend the body rules, and many have failed. From Murano CrossCabriolet to various and sundry "coupe-like" crossover SUVs, the track record of stylists reinventing the body-style wheel is not so good. The Veloster not only pulls off its odd door arrangement, it still comes off fresh in a segment that now has a very stylish Civic hatchback in its ranks. The Veloster is more than a coupe, as it has two doors on the passenger side and a single, larger one (like a true coupe). On the passenger side, the rearmost door is short, so it preserves the curvaceous roofline but allows just a little more practicality. 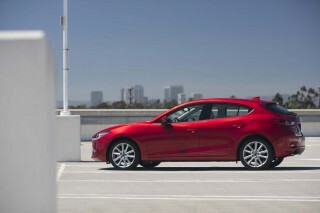 While we're not sure whether to call this a three-door or four-door hatchback, it piles on the personality. Thankfully, Hyundai has gone easy on the trim and adornment; the roofline, profile, and innovative layout are enough themselves. But Hyundai has made the Turbo stand out from the other models, with LED lighting front and rear, a piano-black grille treatment, and some side skits. The Veloster is maybe a little less of a trendsetter inside, yet it's decidedly sporty. Hyundai looked to motorcycles for some of the inspiration—there are hints of a saddle in the center-console design, while the air vents are meant to look like the ends of tailpipes—and in general the design keeps it simple. A big engine-start button sits at the bottom of the center stack’s V—and just ahead of the shift knob—on all except the base and Turbo R-Spec models. Turbos are flingy and zingy; base Hyundai Velosters are economy cars in another form. The Veloster has humble roots. Its powertrains are on loan from the Accent, its underpinnings are last-generation Elantra. 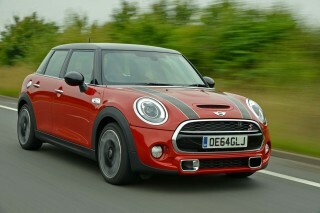 The offbeat little hatchback makes the most of that hash, living up to its sporty profile with perky performance. Base Veloster hatchbacks get power from a 138-horsepower, 1.6-liter inline-4 also found in the Accent hatchback and sedan. It's thin on low-end torque, but winds happily through revs—and Hyundai fits it with either a 6-speed manual or a 6-speed dual-clutch here for maximum wringing-out. The Veloster Turbo blows out that 4-cylinder with a twin-scroll turbocharger, and boosts output to 201 hp and 195 lb-ft of torque. This Veloster bristles with power with either the manual or a paddle-shifted, 7-speed dual-clutch. Veloster Turbos can hit 60 mph in about 7.0 seconds. In Turbo models, you do get stronger brakes as well as stickier tires—which adds up to better dynamics, if the road surface is smooth enough. Brakes are excellent in the Veloster and Veloster Turbo, although we're not fans of the electric power steering here, which lacks proper weighting and feedback. The base Veloster rides about as comfortably as any short-wheelbase car can, but adding the 18-inch wheels on Turbo models turns the ride brittle. Veloster R-Spec hatchbacks have an even stiffer suspension, different steering tuning, and a B&M sport shifter. More ride comfort is sacrificed; we're not sure it's worth it, compared to the regular Turbo. That extra door does not mean what you think it means. The Veloster is laid out like a hatchback, but sports an extra door that makes it easier for passengers to load into the back seat. Not all passengers are seated equally in the Veloster. In front, even with the panoramic roof or the sunroof, there's good head and leg room, though the Veloster is compact-car narrow. The front seats are fine even for tall drivers; they adjust to suit a wide variety of body types. Turbo Velosters have heated leather front seats, and an eight-way-adjustable power driver seat. The back seat is a tight fit for medium-sized passengers, and that extra door isn't a very big one, which means getting in and out of the Veloster is nearly as difficult as if it were a conventional hatchback. 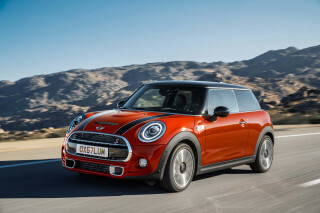 We tend to think of it as a more versatile two-door hatch, and in our six-month test drive in 2013, we left the rear seats folded and took full advantage of the very useful cargo area. One versatility demerit is that the rear liftover height requires lifting items pretty high to get them into the otherwise useful hatch. Inside and throughout, there are plenty of bins, cubbies, and nooks for stowing away smaller items. Crash tests haven't been kind to the Veloster. The NHTSA awards the Hyundai five stars overall, and grades it at four stars for frontal impact protection and rollover resistance. The IIHS isn't as kind. It gives the Veloster a Marginal score in the tough small front-overlap test, and an Acceptable score for side-impact protection. It earns the top Good rating in the remaining three categories. 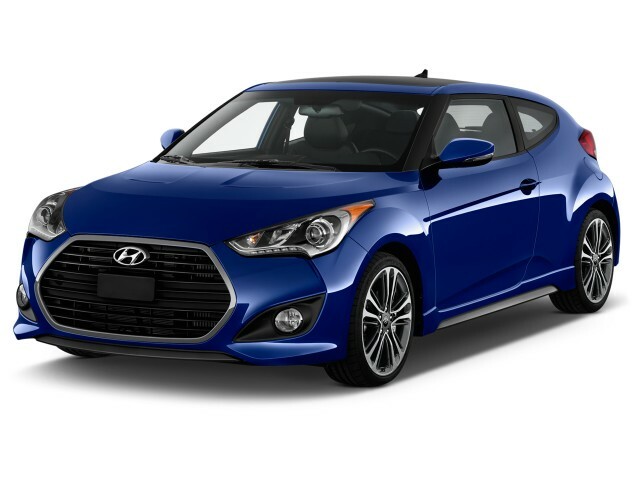 Hyundai fits more standard safety features into the Veloster than you'll find in other hatchbacks. A rearview camera system and a driver's blind-spot mirror are included on all models. Hyundai's Blue Link telematics platform is also included. BlueLink includes a suite of safety services such as emergency crash notification and SOS services. Parking sensors are available on the base version and standard on the Turbo; they're a big help, since the low-slung Veloster has huge blind spots to its rear three-quarters, a consequence of its wacky, innovative door arrangement. Hyundai packs a lot of value into the Veloster's petite body. With prices ranging from just under $20,000 to about $25,000 before options, the Hyundai Veloster carves an affordable niche for itself. All Velosters come equipped with power features; an AM/FM/XM/CD audio system with Bluetooth audio streaming and USB port; a rearview camera; steering-wheel audio controls; cruise control; air conditioning; cloth seats; and 17-inch wheels. This year, the infotainment system adds HD Radio, Apple CarPlay, and Android Auto. Hyundai's Blue Link telematics system is standard on all Velosters. Like GM’s OnStar, BlueLink uses existing databases to provide directions and information for drivers via voice requests, and also includes safety services like automatic crash notification including emergency assistance, and roadside assistance. Turn-by-turn navigation is available on higher subscription levels. As part of the BlueLink suite of services, the Hyundai Assurance Connected Care service is included for three years regardless of the level of subscription. 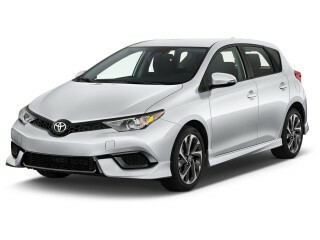 Turbo models get 18-inch wheels; heated sport seats; keyless ignition; a 450-watt audio system; and leather. Opt into the Turbo R-Spec, and some features are deleted, such as keyless ignition and heated leather seats. Major options include automatic climate control; parking sensors; navigation system; and a panoramic sunroof. The Veloster turns in very good gas mileage, as you'd expect. The Veloster may give up some utility for its funky hatchback shape, but fuel economy remains lofty. 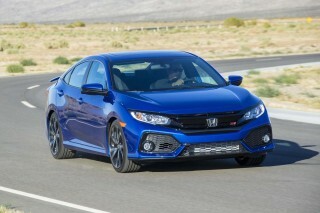 It's on par with some economy cars, though Turbo models aren't as efficient as the naturally aspirated models. Without turbocharging, the Veloster's 4-cylinder can be coupled with either a manual or a 6-speed dual-clutch transmission. The former earns EPA ratings of 27 mpg city, 34 highway, 30 combined. With the dual-clutch automatic, the numbers rise to 28/35/31 mpg. We spent six months with a base Veloster back in 2013, and saw total fuel economy of about 30 mpg. Veloster Turbo models are rated by the EPA at 25/33/28 mpg with the manual transmission. That increases to 26/32/29 mpg with the 7-speed dual-clutch automatic.